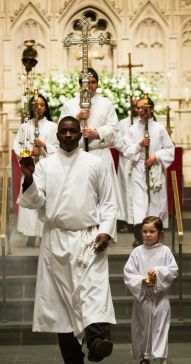 Assist in worship by performing such functions as crucifer (carrying the processional cross), lighting and extinguishing of the candles, thurifer, torch bearers, and as server to the Celebrant. Acolytes may be adults or children beginning at age 8. Assist people as they enter the church. 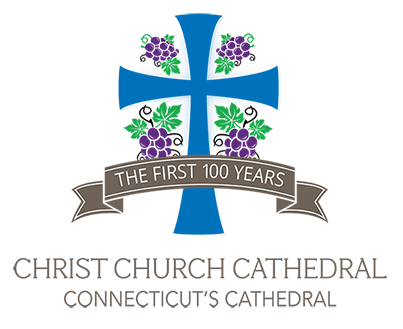 Their duties include handing out the service bulletin, collecting and presenting the alms at the Offertory, assisting parishioners during the administration of Holy Communion and after the service straightening the pews. Greet parishioners and visitors as they enter the church, invite newcomers to sign the guest book and fill out a welcome card, answer questions and be a warm, welcoming presence. Read the first and second Lesson assigned for the day. They also participate in the reading of the Lessons at Lessons and Carols, the Passion Narrative and other special services. 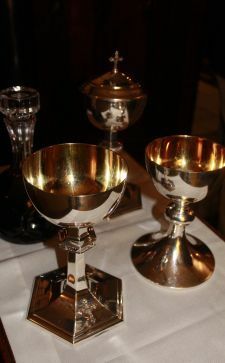 A verger is a member of the laity who works in consultation with the Dean to assist with the organization and execution of liturgical service. The chalice bearer assists in worship by administering the Chalice, reading the Prayers of the People and performing other duties assigned by the clergy.